Henry Cavill News: Happy Birthday: Cavill Conservation Turns One! Happy Birthday: Cavill Conservation Turns One! It's hard to believe it's been a year, since Henry became Durrell Wildlife's first ambassador with a mission to help save endangered animals. Just this past May we were on Henry's home island of Jersey, as he represented and raised funds for the charity at the Siam Cup. 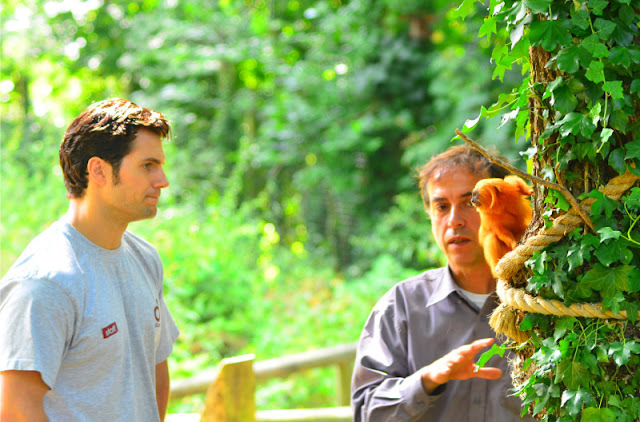 A few weeks later he launched the #cavillconservation store, where you can buy some really cool items, while helping him support Durrell. This week's anniversary came as Henry was in New York promoting the release of The Man from U.N.C.L.E., but he made sure to tape a message for the crowd attending the Jersey premiere of the film, thanking them for their support. Here are a few pictures from the event shared by those who were happy to help Henry and his charity work. Read Durrell's message to YOU, as they reach this one year milestone of collaboration with Henry. We look forward to bringing you the very latest as he continues his work as ambassador for the charity. In the meantime make sure to visit cavillconservation.com, to keep up with Henry's updates and learn how you can help him support this amazing cause. Yes! I just received my Cavill Conservation Hoodie this morning. Waiting for my leggings because they were sold out! Love to hear that<3 I sent Durrell & Henry a message on the site. I'm so proud of Henry and all the hard work and dedication Durrell Gives to endangered species. Good job! British Charm 101: That Look, That Smile.. Fans Share Drinks With Henry In London: Cheers!